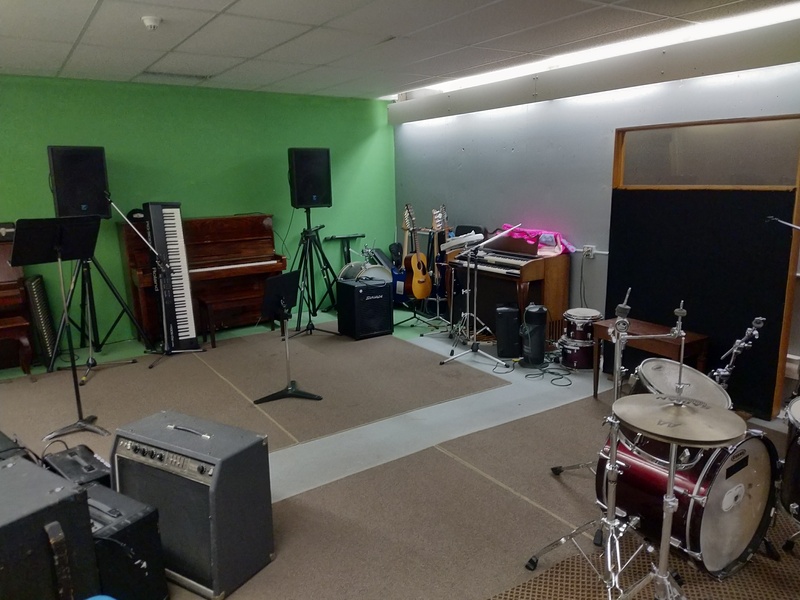 The Jam Space is open to anyone living in our catchment is open when Ray-Cam is open. It has a full drum kit, 2 pianos, keyboard, organ, guitars, basses and amps. Membership, registration, orientation and references are needed to use to the space as it is unsupervised.